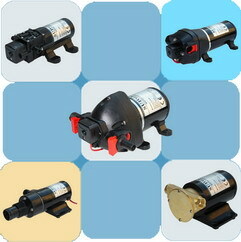 Colin Pump CO., Ltd. is located in the FUJIAN province, Founded in 1998,spearheaded by its high-tech division specialized in DC pumps and motors. Our company enforces the administration as ISO9001 system, carries out the strategy of famous brand, insists on the principle of scientific innovation, exploits new products meeting the tendency of international market and develop the international market through multivariate ways, in our company there are more than 200 sets of advanced equipments for producing and testing such as: Numerical control and programming tool machines, electrical warning equipments at intermediate frequency, painting sets, assembling lines. Our company possesses the superiority of technology and establishes close relationship with several institutes for studying, researching and producing, most of our products are exported to more than 60 countries and region such as: Asia, Germany, UK, France, Italy, Holland, Poland, Australia, New Zealand, USA etc. Now, our company has got the certificates of "ISO 9001:2000", "CE", "RoHS", "TUV", "GS" etc... To build first class modern enterprise and to produce famous brand of the world, let's hand in hand to create brighter future together with friends of China and Overseas. If you request other model products or detail data, Please contact with us. Add: No.31, GuoDao Road, JinHan Town, Ning De City, FuJian, China. ©Copyright 2003-2009 Colin Pump Co., Ltd.